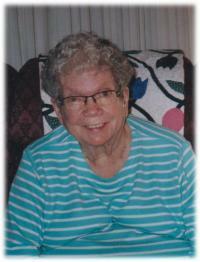 It is with heavy hearts that the family announces that Aldene “Dene” Koch passed away at the age of 88 years. Dene is survived by her three children, Laura (Willie), Nadene (Walter) and Russel (Betty); five grandchildren, De’Anne, Barry, Jennifer, Jordan, and Jillian; eight great grandchildren, Atayah, Ethan, Logan, Lucas, Everett, Danica, Pearl and Wilson; as well as extended family and friends. She was predeceased by her husband, John; son, Roland; and grandson, Jonathan. Dene was last surviving member of the Moyer generation. She was predeceased by her brother, Ralph; and sisters, Franie and Norma. When I come to the end of the road And the sun has set for me, I want no rites in a gloom-filled room Why cry for a soul set free! Miss me a little But not too long, And not with your head bowed low, Remember the love we once shared Miss me – but let me go. For this is a journey we all must take And each must go alone, It is all a part of the Master’s Plan A stop on the road to home, When you are lonely and sick of heart Go to the friends we know, And bury your sorrows in doing good deeds, Miss me – but let me go.